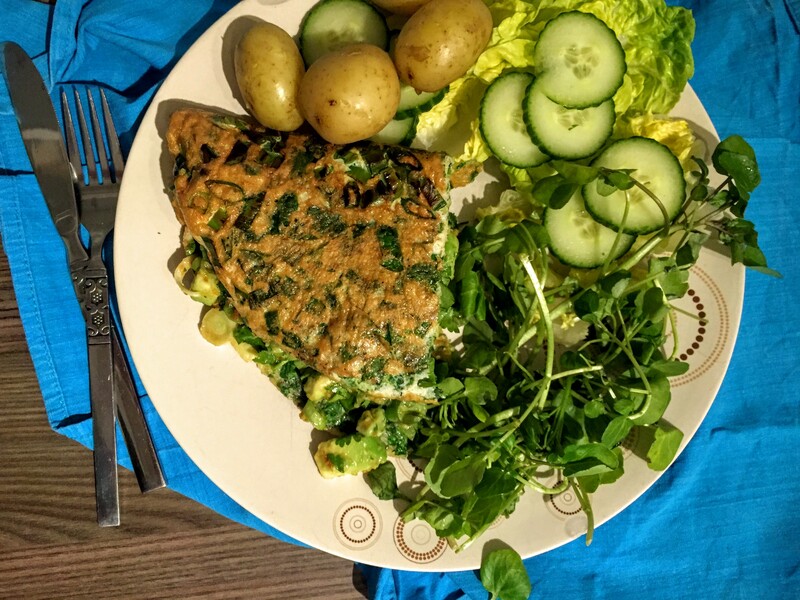 If you’re looking to colour coordinate your dinner, then the green omelette and green salad are just the thing. I didn’t set out to intentionally make the whole meal green, it just turned out that way. It is so simple to make for those nights when your other half is out or you need something quick to fill the gap. It is incredibly tasty too – which is a bonus for quick dinners! OK, so it’s not totally green as I did add some boiled new potatoes to the meal, but it’s still pretty green! 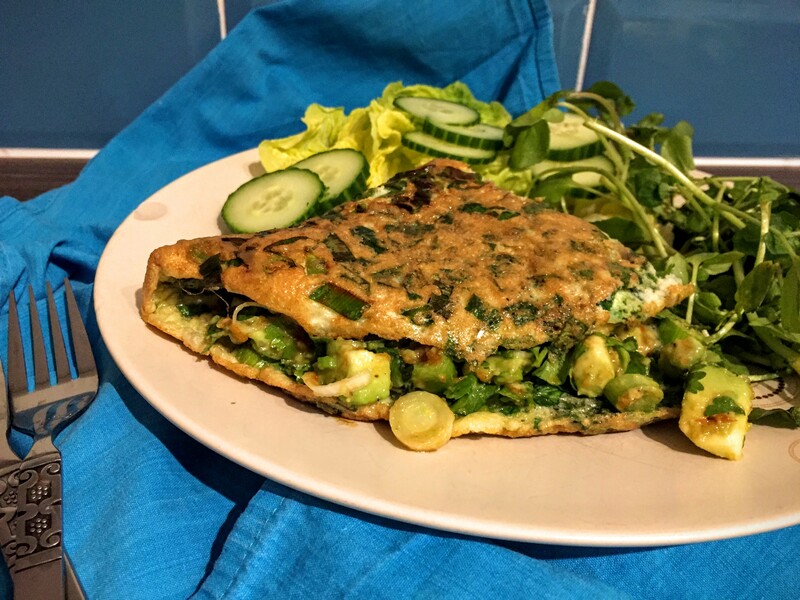 The omelette filling is deliciously fresh and tangy which makes a difference to the usual heavy mushroom and cheese style ones. This makes it feel a lot healthier and good for you as well as bulking up a salad too. This recipe is for either two people for one meal or for one with left overs for the next day. Chop your salad and serve it on the side. You can also boil some new potatoes too if you want something more substantial. Because there is enough for two, just let the second half cool down and then pack into your lunchbox with your salad. It is delicious cold too – so you don’t need to separate the salad off for heating. Definitely one to keep in your Pinterest boards for when you have some veg to use up, are on your own for the night or just fancy something different after the gym! 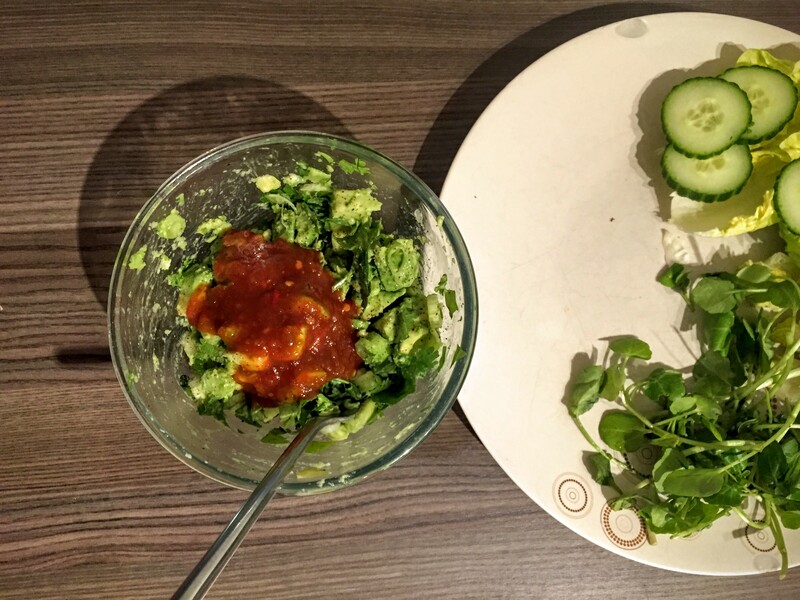 Here’s to avocados and coriander – two of my favourite things! 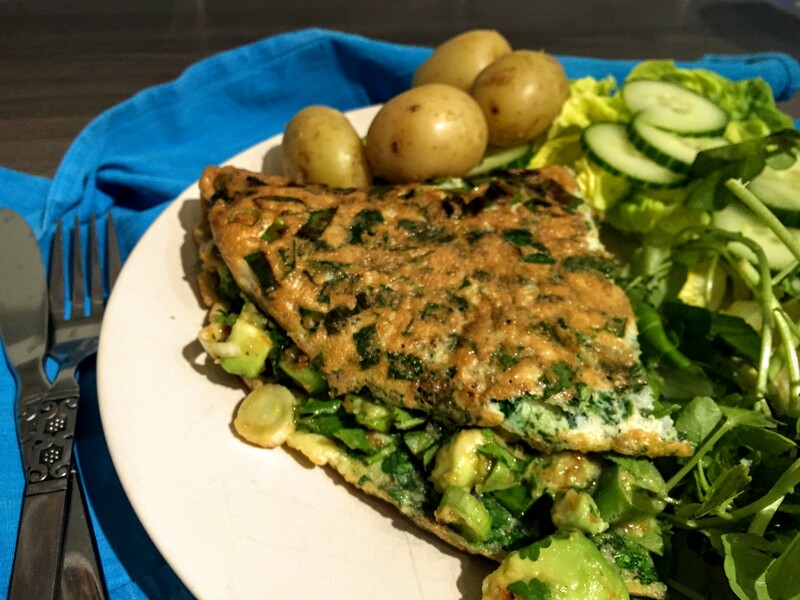 What are your favourite omelette fillings? Do you like them traditional or like this with a little twist?